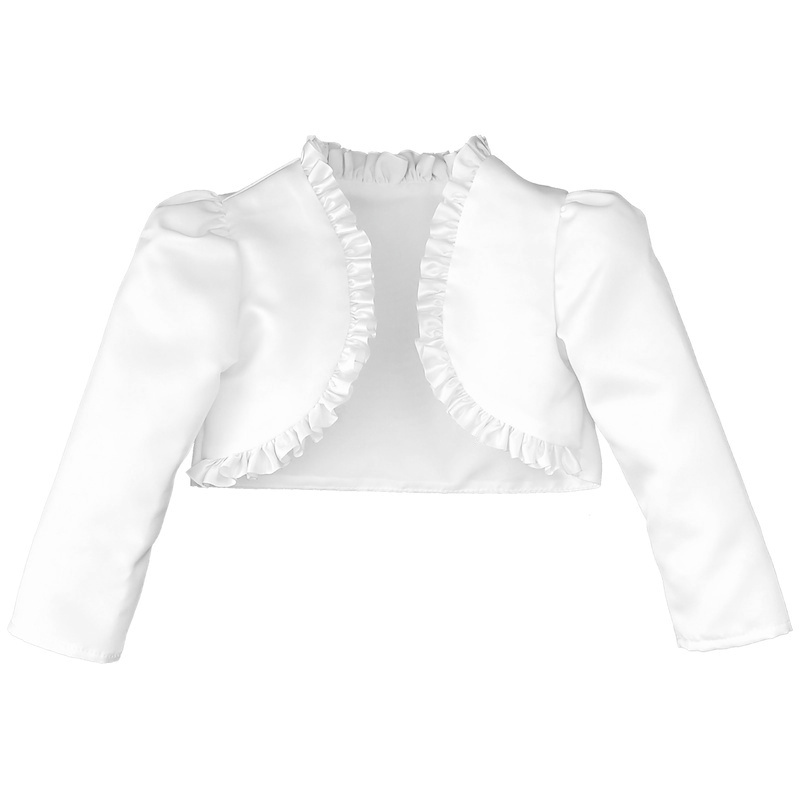 An adorable girls white frilly bolero from baby size up to older girl, simply perfect for a christening, flower girl / bridesmaid at a wedding or a special occasion. 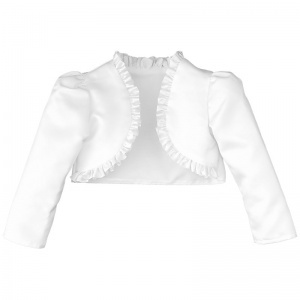 This long sleeved bolero jacket is pure white in colour. It is fully lined with puff shoulders and has a satin effect finish. A stunning white satin frill is around the edges. The perfect compliment to that special dress. Brand new complete with clear packaging. Absolutely lovely. Worn with the lace dress for baptism. Looked gorgeous. Quick delivery too.